Initial word from the equipment department is Adidas is keeping the white, and black helmets, and altering the gold. I think they should really consider adding a blue helmet to Tulsa’s repertoire. 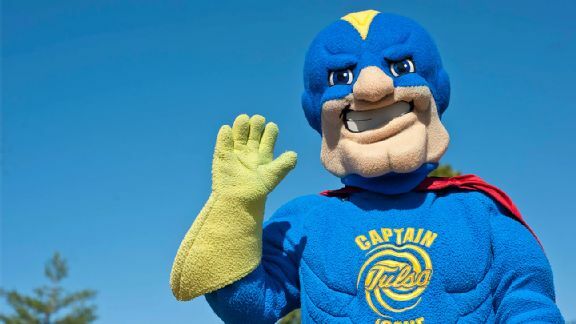 TU has never had a blue helmet, well okay they actually have, but I’m thinking of a blue helmet that matches the jersey. Throwing in a chrome facemask and golden chrome TU logo would make it look sharp. 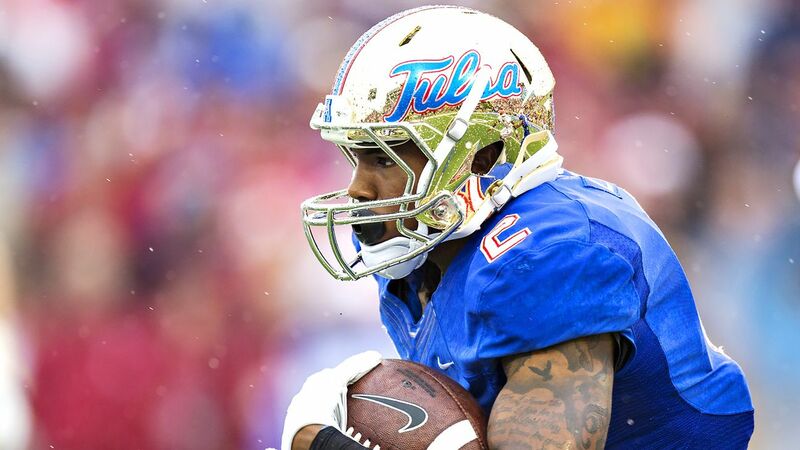 For being the Golden Hurricane, TU does not wear a lot of gold. 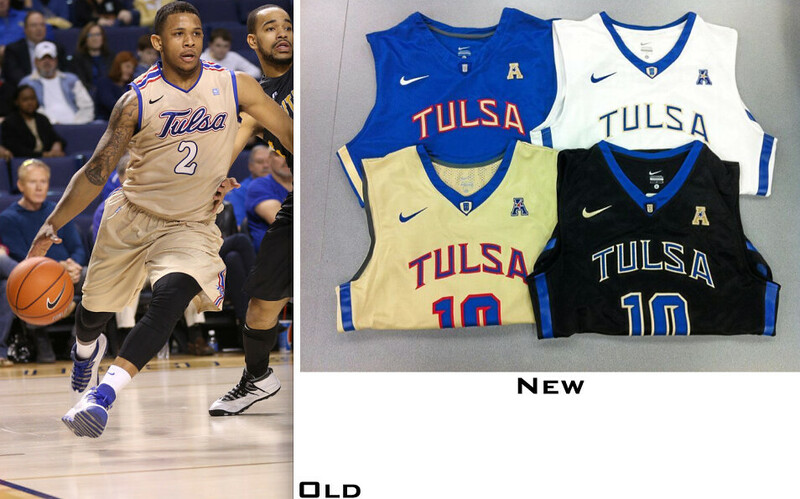 Adding a simple Gold Jersey like the basketball team did would be great, and it would give Tulsa another home jersey to wear besides the blue one. It could also create some cool combos with the blue pants and helmet. I am not in favor of adding a black jersey to go with the pants and helmet. 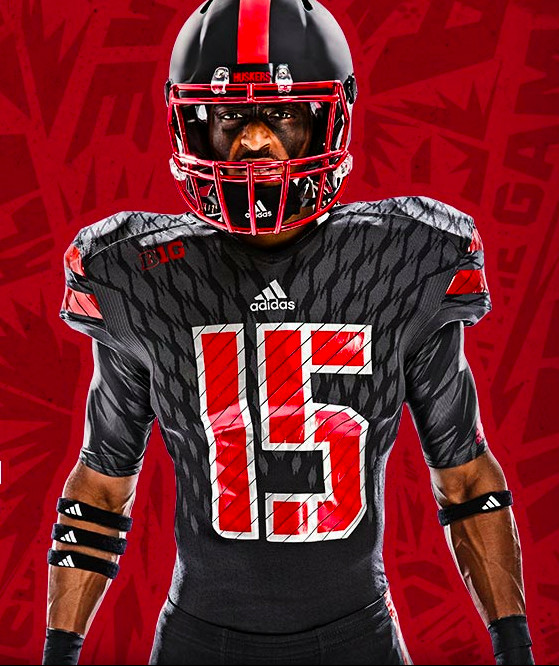 Black is way too over worn in the college football world now, and in most cases it looks really bad. Surprisingly, neither OSU nor OU have gotten on this yet, but I think it would be cool to put the Oklahoma state outline on a helmet or collar, like WVU did a few years ago. I suggest using something similar to the logo I created for this website. I loved Nike’s white and blue TU football jerseys. My favorite aspect to them were the double outlines on the numbers. Adidas has a habit of making the numbers reflective and messy, they would be best served here making minor updates on the collar and maybe adding some shoulder striping, but don’t mess with the numbers. As much as I loved Tulsa’s jerseys last year, their pants were quite bland. I would love to see Adidas update these to add some gold, blue, and red striping like Oklahoma State used to have. This would give Tulsa more flexibility on their uniform combinations, and better looking uniforms overall. As we’ve seen in nearly every Adidas football uniform, Adidas is obsessed with putting these tire tread looking designs on the upper front part of the jersey. They are ugly, they are odd, and they are unnecessary. Please don’t this Adidas. 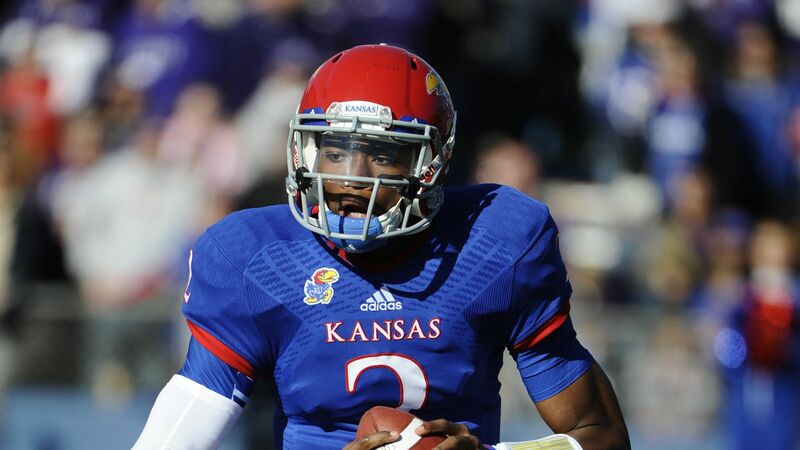 If I see this on a Tulsa uniform next year, I may just have to cheer for a different team. I like what you’re doing. Keep up the good work. There are actually at least two other eras that had blue helmets….in the late eighties…during the David Rader era there was a blue helmet worn and also again during the Keith Burns era. 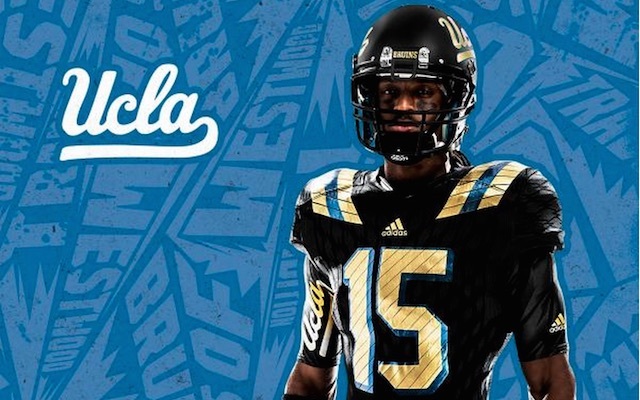 I would copy the UCLA blue and Gold uniforms. Change to our blue and add some red accent stripes. Gold pants. Use the UCLA shoulder stripe look. Main Helmet, Gold. Put the same logo on the middle of the field on the helmet. No stripe. We can also have an all white uniform. I hate black uniforms and helmets. I love Derrick and Coach Monty, but they are not TU people. So, they don’t understand how passionate alumni are about retaining what few traditions TU has. We look like “Smurfs” in all blue. You have to break the blue up with golf. Blue jerseys with gold and red accents with gold pants, or blue pants and gold jerseys. Always use red for accent to take advantage of our 3 color look. Retro uniforms with red jerseys and gold pants is great once a year. Black helmets — never. Hunter – if you want to see the perfect TU uniforms, Google the Winnepeg Blue Bombers of the CFL. Perfect for TU. Those look good, I love the shoulder striping. I think TU can do better though, especially with their white jerseys. I’m looking forward to them being released on August 18th! Well, the new Adidas uniforms look just like the old Nike all white and all blue uniforms. Just terrible. No gold to be seen. It is the “Golden” Hurricane isn’t it. Very boring. I don’t like the black uniforms, but if everyone else does then fine, I do too. I love the idea of striping, but I’m skeptical about how the red helmet would look.